Have I ever mentioned that my lovely mom was Italian? She would always tell us stories about how when she grew up her mom was an amazing cook and never really used very much meat in her cooking. My mom loved eating soups and beans and all kinds of green veggies. Sauteed kales and spinaches and other hearty greens were some of her favorites. She ate and cooked meats for my dad but I truly think she was a pure vegetarian at heart. She didn’t even really like milk…she might even have been vegan. When I found this book I knew I had to have it. This dish reminds me of my Italian grandmother’s cooking. My grandmother had two kitchens in the house my mom grew up in…a basement kitchen and an upstairs kitchen. She used the basement kitchen to can all of the lovely things my Italian grandpa grew in his garden. My grandparents also had a brick oven in their grape arbor. I have no idea what they used it for but my grandmother always had amazing foods prepped for us when we visited every Sunday. This book is filled with delightful simple foods. Soups and stews and veggies and breads and cookies and simple pleasing pastas. It reminds me of the Italian part of me. Let us know how the soup turns out, please. Oh, how delicious that all sounds! I do love stews, as well as soups…I have gone through my vegetarian periods, like the time we belonged to a food coop and bought veggies and whole grains there. I cooked a lot with lentils. Thanks for whetting my appetite for these foods again! Such a heartwarming story about your mom, and your grandmother's kitchen, Patty! We also had a stove in the basement that was used for big family gatherings. We also had a full dining room, and recreation room in the basement, that we used for big celebration! I can just smell the aroma of your lovely soup cooking in the slowcooker…Yumm! Thanks for sharing about your mom and grandma. 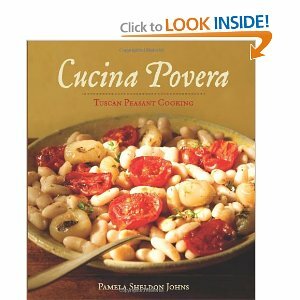 That cookbook sounds like it's full of delicious recipes. My mother was Italian but a horrible cook. LOL. Her mother was better but a horrible wretch. So… although my so-called Grandmother taught me how to make sauce, that's about all she did. I got this title from Net Galley but haven't downloaded it yet.